Performance at Abasement, an experimental series at Max Fish. 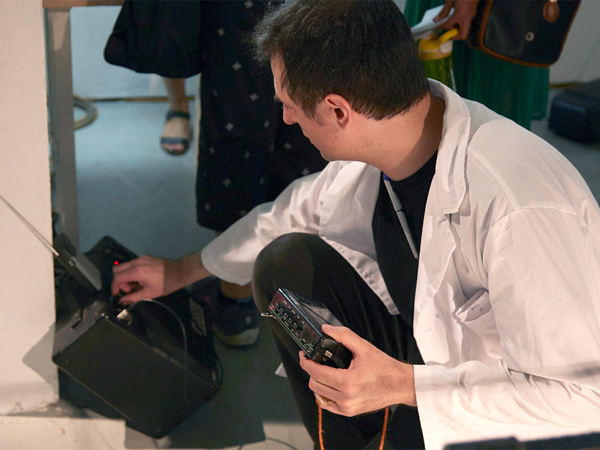 Particulate Matter is an experiment in spatialized sound and micro radio, employing decaying, discarded and hacked technology. It explores themes of technological obsolescence and reclamation at a time when Norway is beginning to phase out FM radio; and when manufacturers worldwide are ceasing the production of all varieties of tape players. A series of cassette recordings are informed by the Musique Concrète movement, and the phenomenon of 1980's DIY cassette trading. The recordings incorporate found musical toys and resonant, non-musical objects (metal poles, drinking vessels, and cookware). 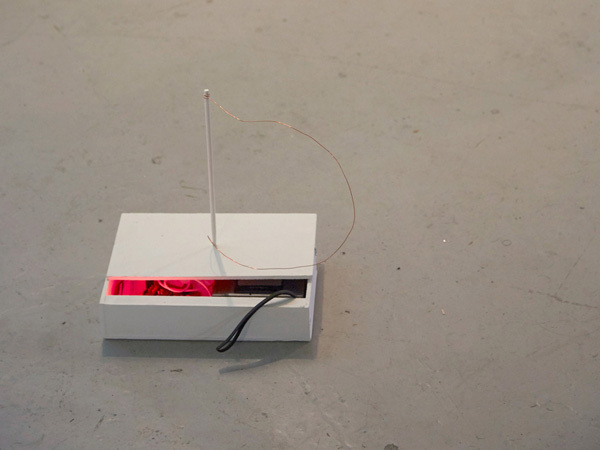 The sounds are broadcast from a series of hand-constructed FM transmitters to a series of salvaged radios, boomboxes, and alarm-clocks positioned around the space. Listeners can gather and hear the signals overlapping, fluctuating, and intruding upon one another. Swale, at Brooklyn Bridge Park Pier 6, Nov. 12, 2016. 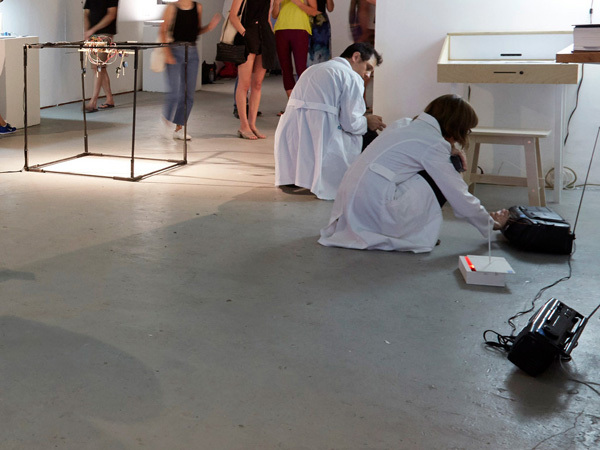 Artificial Retirement, at Flux Factory, Sept. 11, 2016. Abasement, at Max Fish, Aug. 8, 2016. Make Music New York, at McCarren Park, June 21, 2016. "Alternative to The Media-Driven Forecasts," Medium, September 8, 2016. Instagram, Claire Voon / Hyperallergic, June 21, 2016.